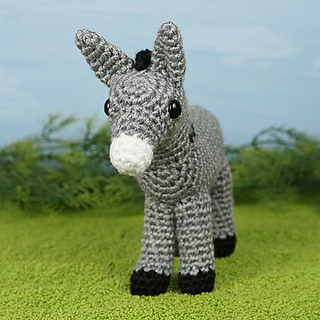 An original crochet amigurumi Donkey pattern by June Gilbank. 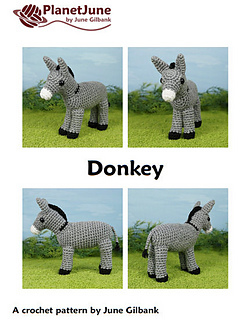 Donkeys are members of the horse family. 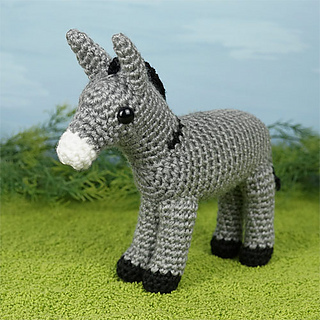 They were domesticated many thousands of years ago and they helped to moved the stones that formed the ancient pyramids of Egypt. 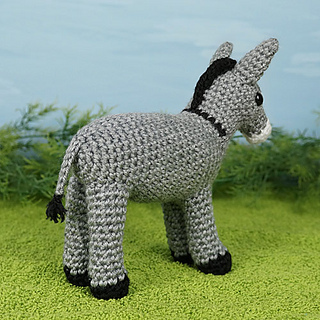 Today, donkeys are found all over the world and the majority still work as pack animals. 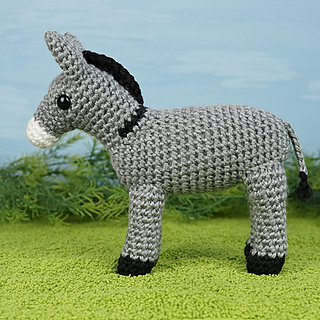 As well as being sturdy and dependable workers, donkeys are also friendly and intelligent.